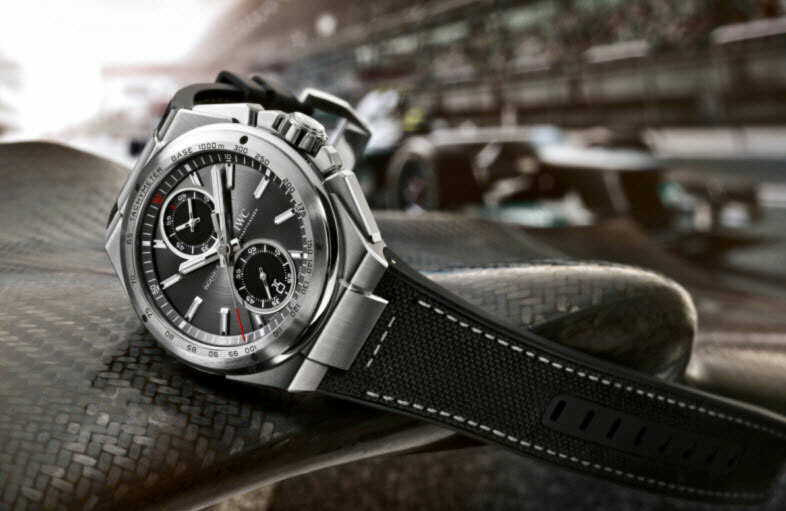 Recently at the 74th edition of the Goodwood Member Meeting (#74MM) IWC introduced three new versions of the Ingenieur. The new models are inspired on the iconic vintage Ingenieur ref. 666 and features similar lines and design cues. The new Ingenieur Chronograph Classic models all feature a brand new in-house movement and of course we want to know everything about that. On first glance it shows similarities with the well-known work-horse movement, calibre ETA 7750, so we decided to pop the question. 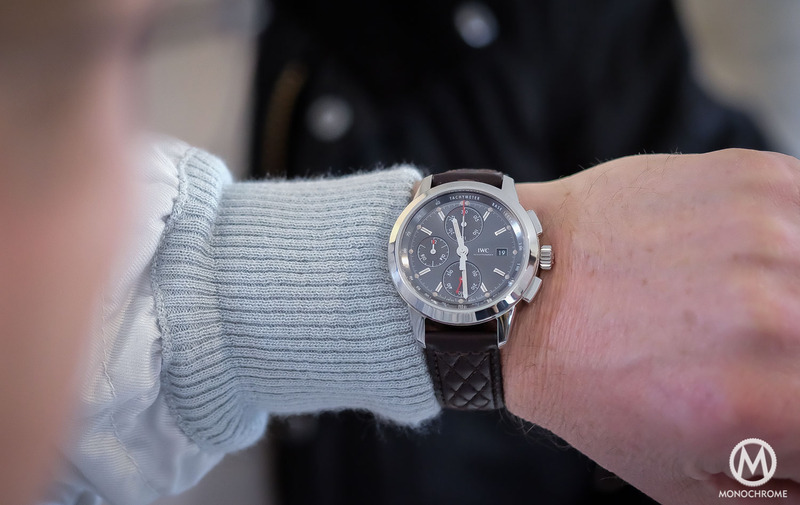 The brand’s CEO, Georges Kern, and director of design Christian Knoop talked about the new Ingenieur models, the new movement and the future of the brand. On top of that we interviewed technical director Stephan Ihnen, and talked movements, production facilities and all the nitty gritty details we wanted to know about. Find out more about the future of IWC, learn why the brand goes back to more classical design, to more lifestyle oriented collections, and of course, the new calibre 69000 and how will it be produced. 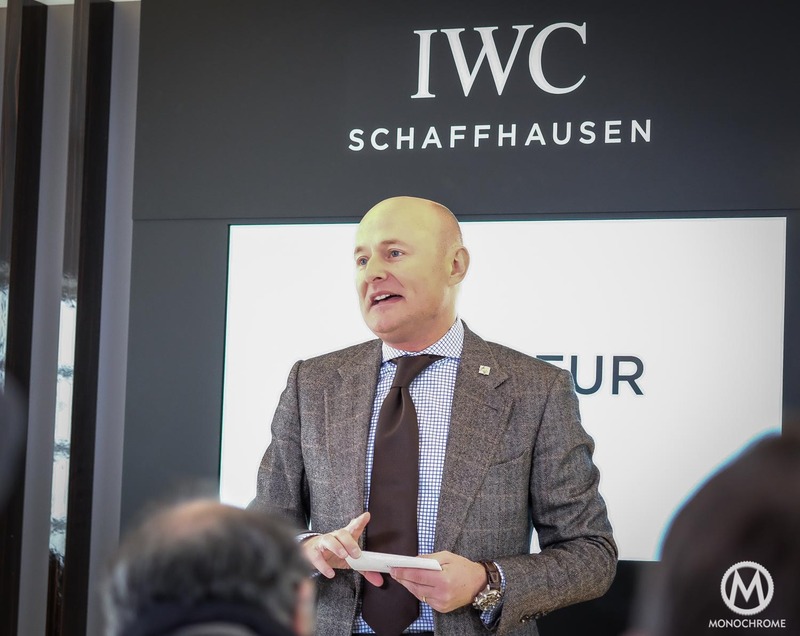 A less complicated movement (hence more affordable), new facilities and more accessible watches… Let’s find out what to expect from IWC in the coming years. According to Mr. Kern, agility is the biggest challenge for IWC in the next 5 years. Rapidly evolving customer demands, globalisation and competition leave their impact on how watch companies operate, the lifecycle of watches, and the market positioning. 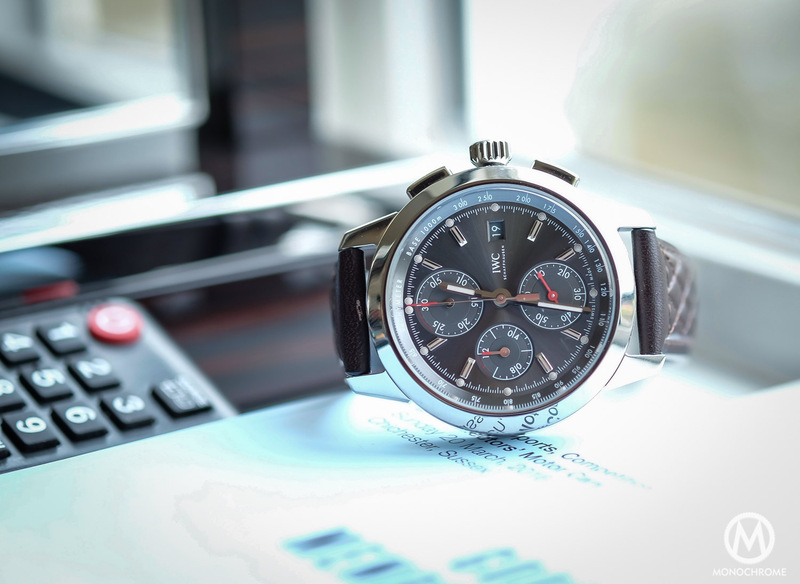 Mr. Kern is convinced that traditional timepieces will be future-proof when companies stay alert and adapt to customer demands and lifestyle needs. The company has matured now and is therefore industrialising its manufacturing processes and facilities for watches with in-house movements that can be delivered at reasonable prices in larger quantities. Mr Kern told us to expect more “elegant sporty” watches: elegant watches with a sporty touch. People with different lifestyles require different watches. 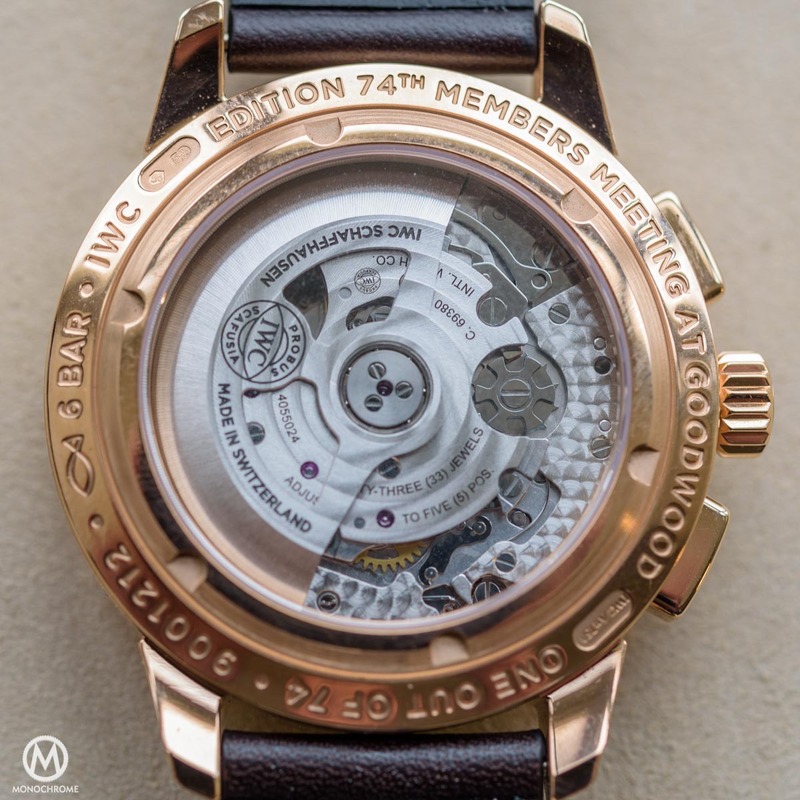 The consistent factor is the company’s heritage of building precise, reliable and functional mechanical watches for current and future generations. 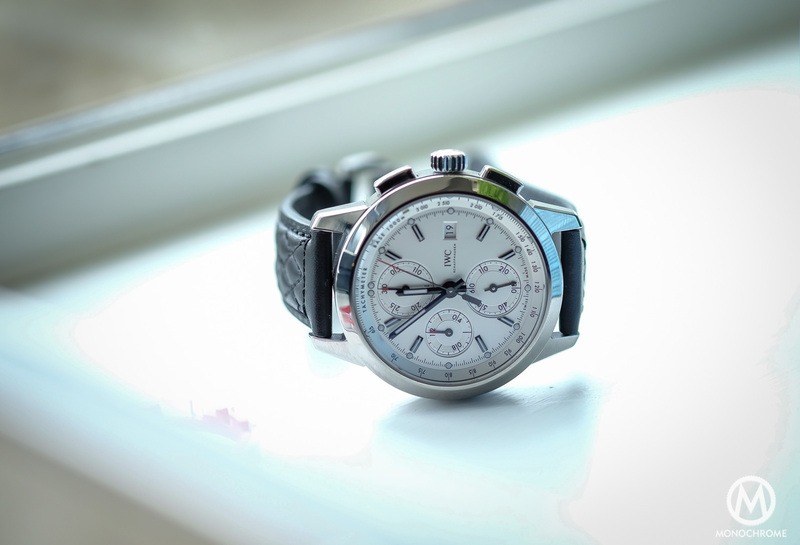 This does not mean that IWC will suddenly launch a variety of model lines. The company intends to stick to the current model lines – Pilot’s Watches, Portugieser, Portofino, Aquatimer and Ingenieur – as well as coherence within each model line. But expect a wider variety in terms of “stories behind the watches” and the lifestyles associated. The launch of the new calibre families 69000 (chronographs) this year and 42000 (automatics) next year illustrates IWC’s strategy of serving customers with different needs. 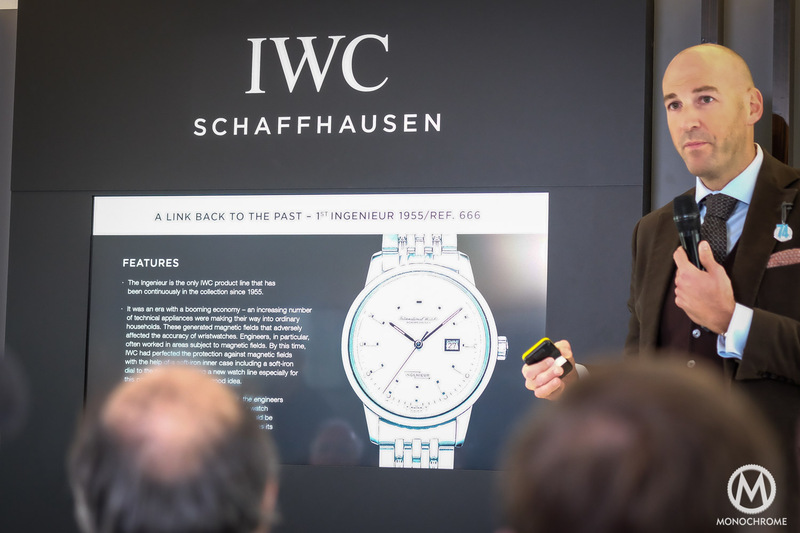 While IWC recognises the ongoing integration of mechanics and electronics, the company currently intends to keep the two separate according to Mr Kern. Rather than integrating electronics into the watch itself, the brand prefers integration of a measurement device in the strap that communicates with smart devices for connectivity. The key reason is to enable people to disconnect themselves from the “connected” world, if they want to. The lifestyle orientation of IWC implies that watches will not only be “engineered for men” but also for women while staying loyal to their heritage of building larger, functional watches. 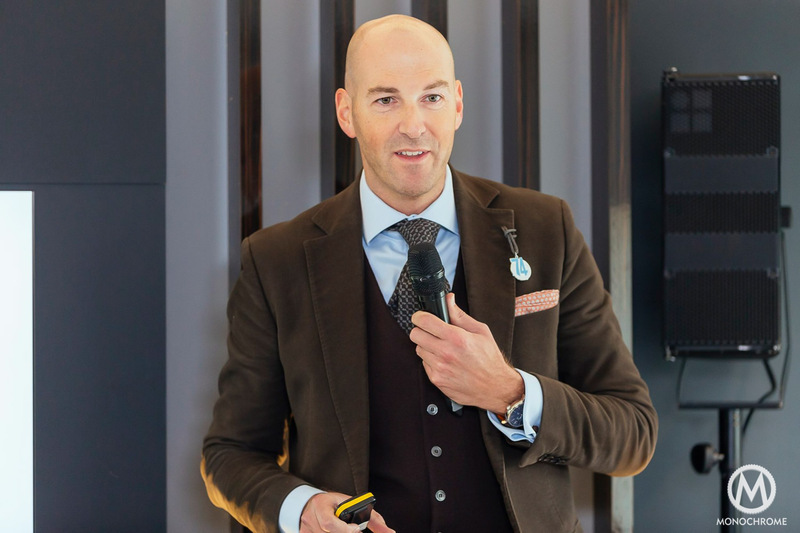 Mr. Christian Knoop, an industrial designer by education, is responsible for all IWC design; watches, boutiques, in-store shops, and communication. He told us that, to him, the original Ingenieur ref. 666 is a masterpiece, not only from a movement perspective, but also from a design perspective. The geometrical cut, the edgy markers, the dots near the hour markers, and the clean dial, the width of the case, the shape of the lugs are clean and functional. 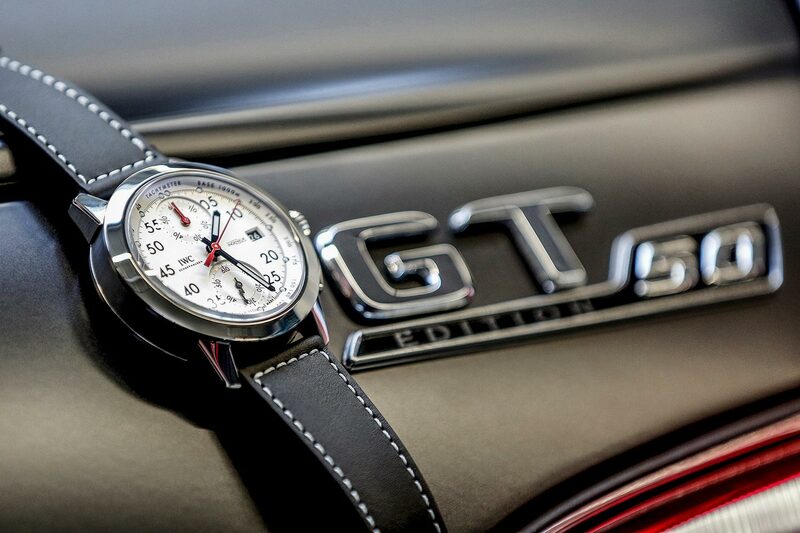 Classic race cars are another source of inspiration for the three special editions of the Ingenieur Chronograph. This is especially visible in the design of the W125 edition that aims to remind us of the color schemes and elements of the classic Silver Arrow race cars. 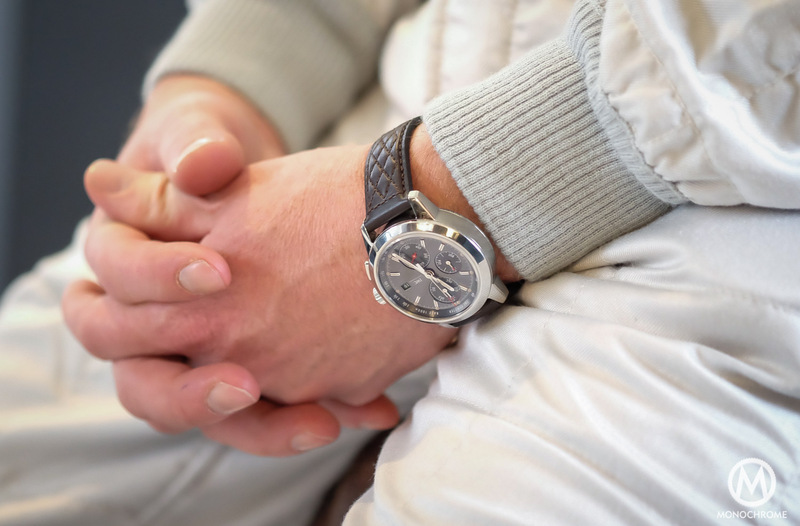 During the press conference, Mr. Knoop showed Albert Pellaton’s passion for racing and high-performance, the bravery of classic car drivers, the history of the famous Silver Arrows, and the importance of the classic IWC Ingenieurs of the 1950s when Engineers were highly respected. When we asked Mr. Knoop about the see-through case-back, he said that there was some discussion about this. However, market research indicated that most potential buyers would prefer a see-through case-back so it was decided to use that in the Special Editions launched. In his presentation about the new models, Mr. Knoop put the cal. 69000 (30mm) as a central building block in IWC’s movement strategy. Other building blocks are the cal 52000 family (37,8mm), the cal. 89000 family (30mm), the cal. 59000 family (37,8mm) as well as the cal. 42000 family (27mm). The 42000 and 69000 families will be the new in-house “workhorses” of IWC, i.e. “no nonsense” highly reliable, standard movements in various models with various metals used. All in-house developed. All mechanical. In contrast to other IWC in-house movements, the winding system is slightly different from the IWC Pellaton winding system, however according to the brand it’s close. 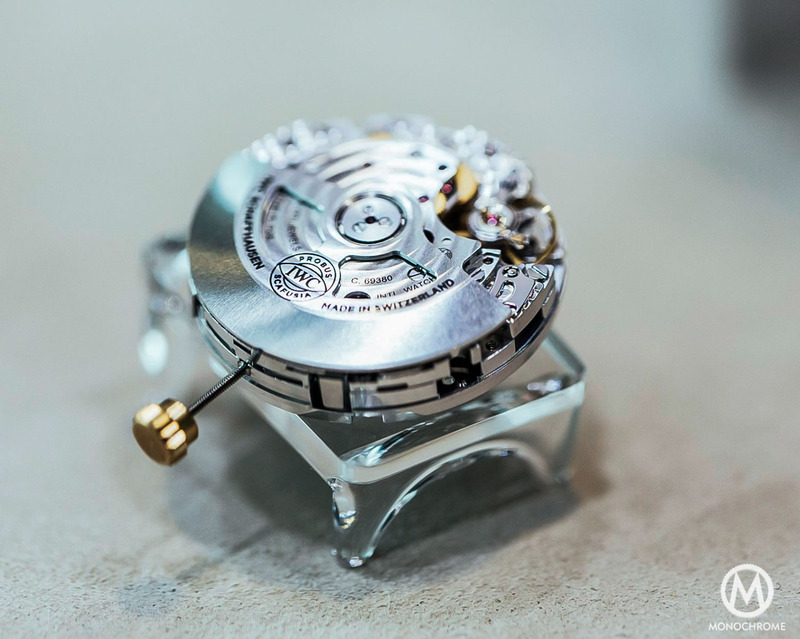 The caliber has a Richemont Standard automatic system, a click system close to the Pellaton winding system. Both systems are working with 2 clicks, however in the 69370 one is pulling and one is pushing, while in the Pellaton winding system both are pulling. Other differences are found in the bearing and the connection of the rotor and the winding system. The new calibre 69370 uses no ceramic winding wheels but with 2 steel winding clicks and an automatic wheel made from brass. Calibre families 52000, 89000 and 59000 will be used in sporty elegant and elegant high-end watches above 10.000 CHF. These watches show extra attention for finishing, materials used, regulating mechanism (screws instead of index) and complications. Calibre families 69000 and 42000 will be used for sporty elegant watches priced lower than 10.000 CHF. The new chronograph movement has been designed and developed from the ground-up together with ValFleurier (Richemont’s movement manufacturing facilities). It took several years of development and testing – as well as a huge investment – to develop a robust, standard movement that can be produced in larger quantities meeting consistent quality standards. 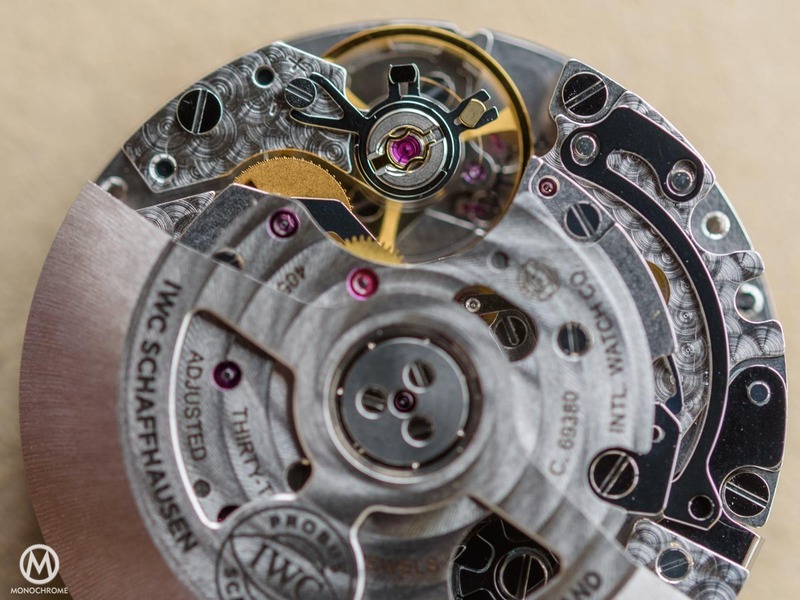 The movement is IWC-specific, developed based on IWC specifications and standards, which, for example, implies that the small seconds are located at the 6 o’clock position. To make the process easier (read: the semi-finished movement can be assembled in one run before testing), all chronograph functions are positioned on the movement side, so the hours are on the movement side as well. It is on the dial side in a Valjoux movement. The 2 additional jewels (33 instead of 31) are used for the hour counter wheels. Parts that require oil are all located on the same level to be able to automate oiling. Although skilled watchmakers are capable to do this in the right amount and right places, automation ensures consistency and quality when larger volumes are produced. The date mechanics are put in a date module that can be easily left out or included. The use of a column wheel and the Pellaton-like winding system. The transmission of the small seconds to the 6 o’clock position requires additional parts and solutions for dealing with the additional friction. Just a small change is the extension of the power reserve to 46 hours instead of 44 hours. The production of main plate, bridges, oscillating weights will be done in-house. Specialized companies, including Valfleurier will deliver parts of the gear train, jewels, screws, and balance spring. Assembly will be done by hand, using hightech equipment such as torgue-limited screwdrivers. Quality related checks, such as play in wheels, and automated oiling is done by machinery. The industrialized process shows resemblance to line production where a movement passes multiple workstations. Such a process is a fundamental change for IWC. While other companies, such as Omega and Rolex, have done this for many years, it is new to IWC. However, traditional watchmaking will still apply to complicated watches and haute horlogerie. To our knowledge, IWC is the only company doing both. As Mr. Ihnen said “technically the cal. 69000 chronograph is not the most challenging for the watchmaker in me, but it is produced in a way that makes the engineer in me very proud”. 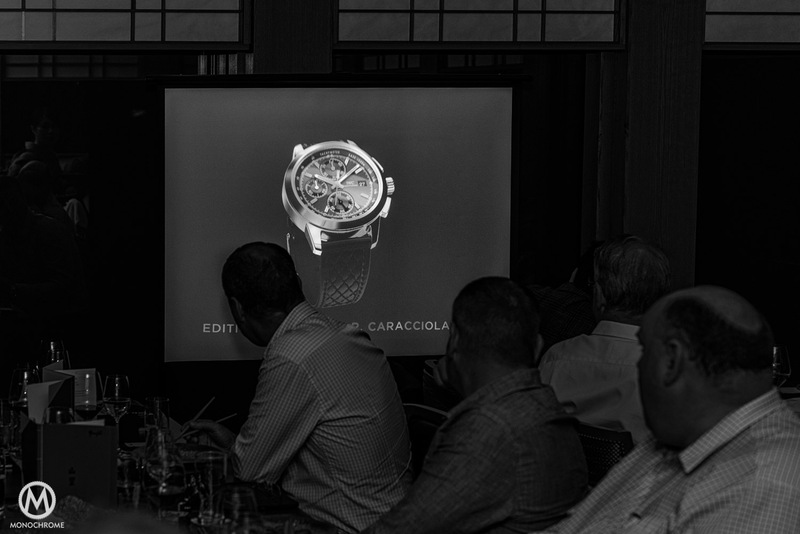 The new movement has been thoroughly tested before the launch of the Special Edition Ingenieur Chronographs. 500 movements have been produced. The watches housing these movements were worn on a daily basis for 1,5 years. The highest standards for sports watches are. Accuracy is according to IWC standards (0-7 seconds deviation/day). Climate testing (-20 to +70), anti-magnetism (4800 A/m), and anti-shock as well. A new testing lab has been established for testing. IWC intends to produce at least 30.000 movements per year, preferably (much) more. To facilitate this, a new, modern and hyperclean manufacturing facility outside Schaffhausen will be ready in the second part of 2017. The production in this facility will gradually increase over 4 years. Some production currently done elsewhere will also be moved to this location. In the meantime the current facilities in Neuhausen – employing 160-180 people) and Schaffhausen will be used to produce the planned cal. 69000’s and cal. 42000’s. 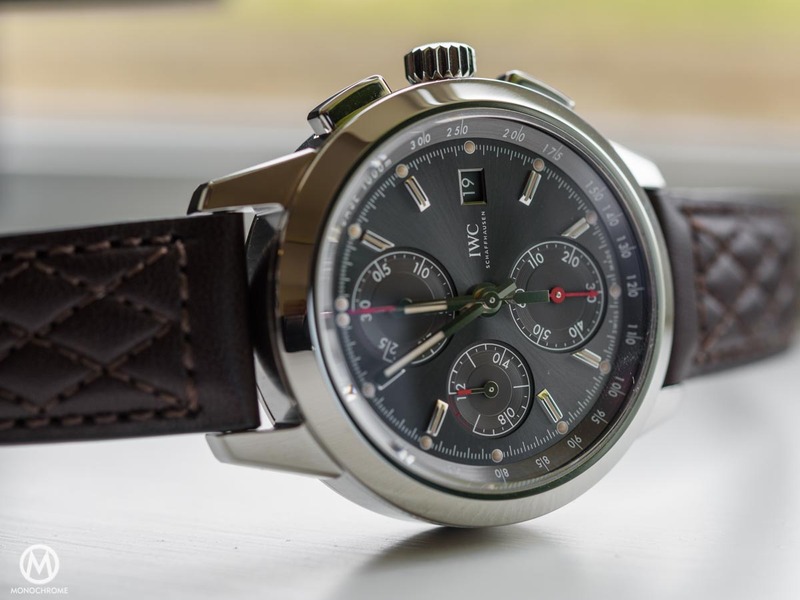 When we asked Mr. Ihnen if it was IWC’s intention to phase the use of external movements out, he said that IWC wants to have a choice in using an in-house movement or an external movement. The first priority is to show that a robust standard in-house movement can be produced at the same cost level. What do we think about the Special Edition Ingenieur Chronographs with the cal. 69370 movement launched at the Goodwood Member Meeting #74? The Classic Ingenieur Chronograph had to grow on me. After being able to see, touch and photograph, the watch left me with mixed feelings. 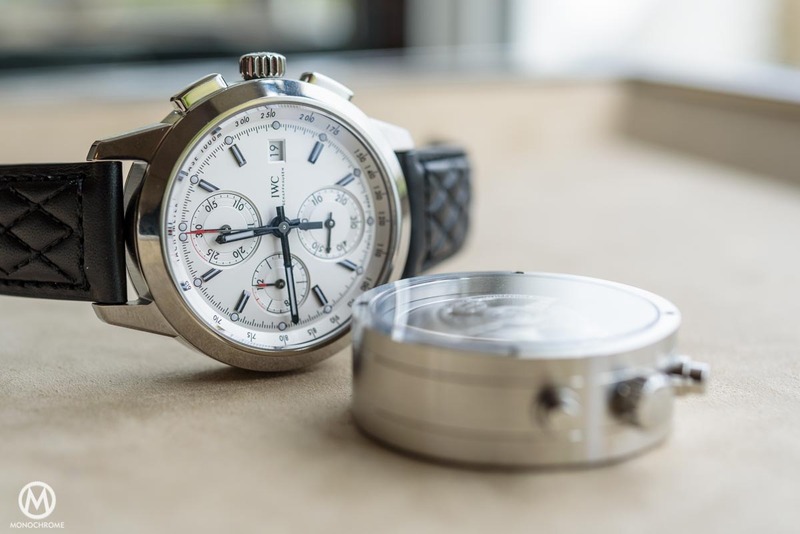 But when I studied the photos and read through my notes, I cannot say anything else than that this is a beautifully designed, classic chronograph with a clean, functional design. Every marker and line is functional. It looks very well balanced. My favorite is definitely the W125 with its white dial and titanium case. Let me first explain why I had some reservations initially. To me, a classic Ingenieur means: automatic, protection against magnetism, and a clean, understated dial. So that does not go well with a chronograph and a see-through caseback. But when I started to look at the dial of the W125, I noticed that the name “Ingenieur” is not on the dial and that Mr. Knoop said that these new watches were inspired by the classic Ingenieurs, not copied from them. Is it a radical design? No. 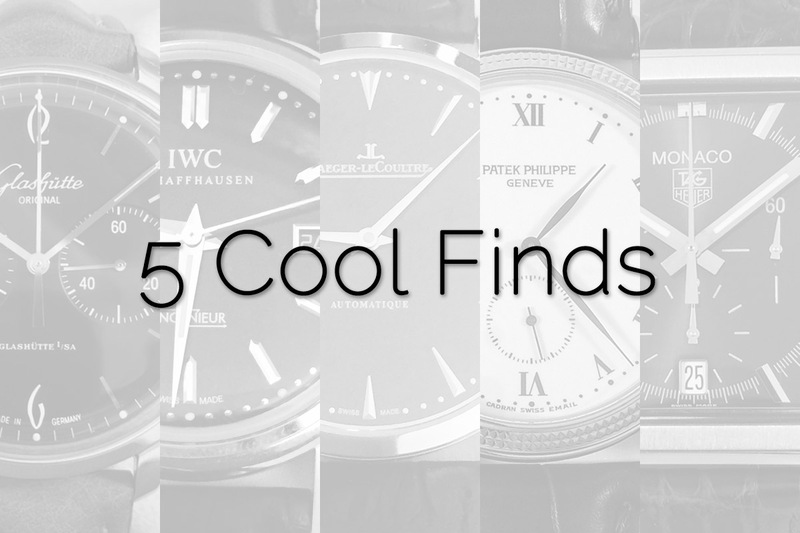 Will this watch become an icon like the first classic Ingenieur and the Jumbo Ingenieur? Probably not, because it is not different enough. But I like it. Pricing will be vital for its success. The name IWC on a watch may earn some points but intelligent buyers will not be willing to pay a lot more. The true innovation relates to what is “inside”, i.e. a new “workhorse” movement that requires industrialization and a huge investment. Time will tell how the market will respond to this move by IWC. I suspect that large groups of buyers will be indifferent and choose IWC because they like the watch(es) and because it fits in their lifestyle. Please let us know what you think of the new design of the Ingenieur Chronographs and the new movement. Last but not least: I am really curious if IWC will launch a new classic Ingenieur Automatic housing a calibre 42000 movement, next year. Again, all this marketing BS about lifestyle… and the stories behind the watches. Let’s see how these new watches perform in the grey market. 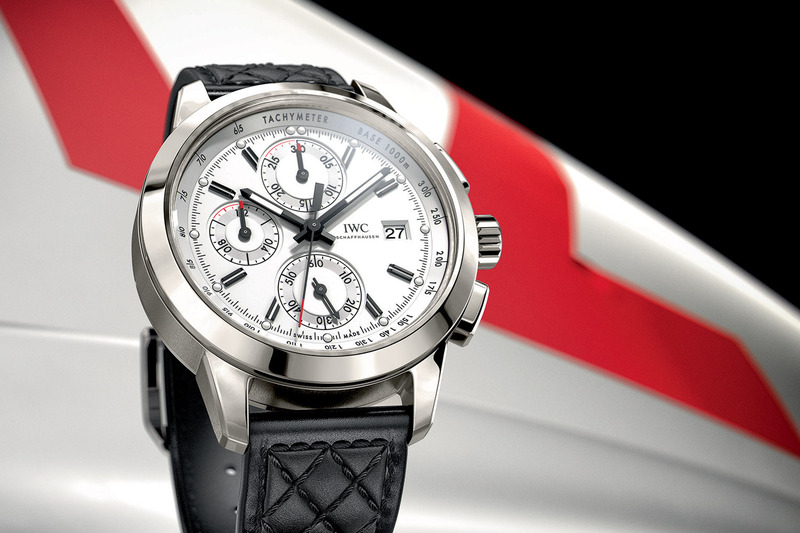 IWC’s prices still need to drop substantially. That being said, I still like to wear my Portuguese which I bought with a 30% discount in Switzerland. Who or what is IWC and why should we care what they do? Who or what is ANY watch. It is what appeals to your 5 scenes and pocket book. We have many beautiful watches from various makers to choose what we like and if we all wore Montblanc, it would be a boring world indeed. I own 2 of them no find them beautiful, ust as I find beauty in IWC. Thank you for the article. The watches are ok but it is the in-house movement which is the real big news for me. I am looking to do my first serious watch investment. New Iwc pilot spitfire with the val movement is pretty much the ideal watch for me. I however decided to defer my purchase until they bring an in-house movement. For me, it is important that it is an in house one and a good movement. I can’t afford the higher end Iwc so, answering your question, it matters to me that they made this move. Perhaps I am under-estimating the previous workhorse and making a mistake. All I know, that’s why my first watch will be new omega GMT master then an Iwc hopefully…. Any constructive feedback welcome as I am not an expert. I just love the new pilot spitfire. Wishing to correct: of course I meant 3706 dial and hands and not the misprinted 3707 (which is not a Flieger BTW). Dear Mod, thx for correcting my original comment.